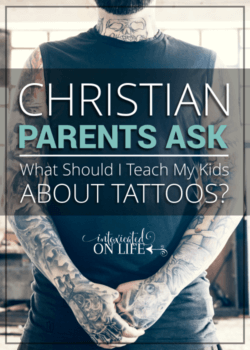 Let’s talk about ways to teach your kids the Word of God. As parents, we want to use every method we can to fill our children’s minds with ideas from the Word of God. What methods did God use to help His people grasp His word? Reading aloud: Like many books written in a predominantly oral culture, the Bible was written to be read aloud. This is what God told His teachers to do (Deuteronomy 31:11; 1 Timothy 4:13; Colossians 4:16; 2 Chronicles 34:18) and we can do this for our own children. Personal reading: By reading the Scriptures with our own eyes, we can reflect more deeply and prayerfully about what they mean (Daniel 9:2). We can teach our kids to get into a rhythm of daily Bible reading. Music: He inspired gifted song-writers and musicians to present His word in song (1 Chronicles 15:1-24; Psalms). Start a collection of Scripture songs for your kids to listen to. Conversation: He told parents to remind their children of God’s commandments in the daily rhythms of life (Deuteronomy 6:7). Personal repetition: God commands his people to meditate on His Word, or more literally, “growl,” “utter,” “mutter,” or “speak” to ourselves (Joshua 1:8; Psalm 1:2). Choose verses for your kids to memorize and teach them recall the verse throughout the day under their breath. Parables: Jesus often used parables to draw his listeners in, provoking the curious to search for more understanding (Matthew 13). Study: God wants us to rightly handle and analyze His word of truth (2 Timothy 2:15). As kids grow, we can teach them to study the Bible for themselves. Visual demonstrations: Often, God would command his prophets to not only proclaim His Word but act it out in some symbolic fashion, making the message take on a new life (Ezekiel 5:1-17; Isaiah 20:1-6). When telling Bible stories, have kids act out what is being read. Writing: When we write the words of God with our own hand, it allows us to study His Word in a new way (Deuteronomy 17:18). This is my list of ways to teach your kids the Word of God. These are the methods we use in our family. We aim to read aloud to our kids and encourage them to read the Bible themselves as they get older. We use analogies, parables, and even physical demonstrations to get the word of God across to our kids. We sing Scripture songs as a family. We should use teachable moments throughout the day to reinforce lessons. We should all encourage our kids to memorize and mutter the word of God aloud throughout the day. We should have our kids write Bible passages. Because teaching our children about the Word of God is the most important thing we can do as parents. 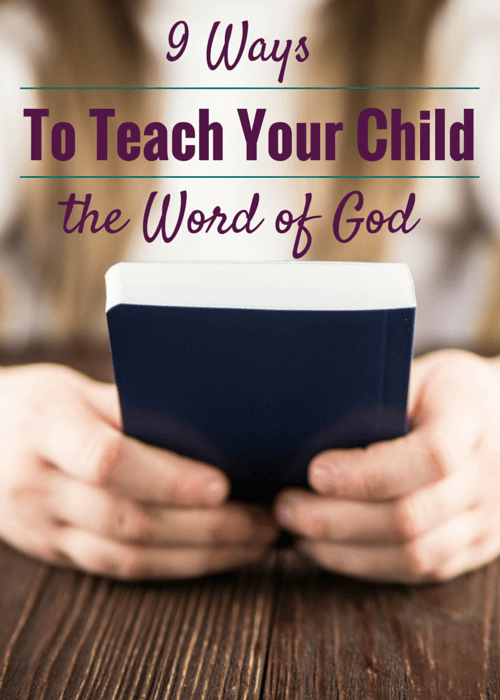 Did this list of ways to teach your kids the Word of God inspire you? How? Tell me in the comments! 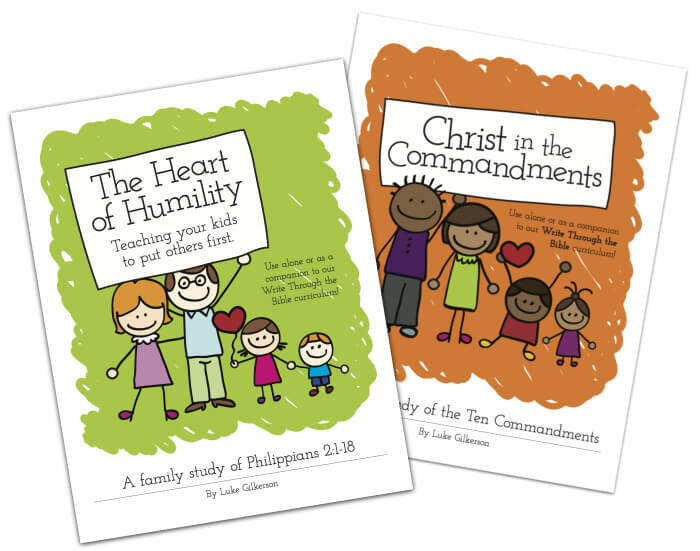 Check out our family Bible studies! As a parent, I know how much I appreciate a well-written family devotional—something that engages my children’s imaginations and helps them to grasp the Word of God. All these studies contain 30 lessons. Every lesson begins with opening thoughts and questions, followed by a Scripture reading, followed by a commentary and more questions to apply the Word to your family’s life. Great post. We also weave God’s word into all aspects of our day. Thanks for sharing all those great ideas! Thank you for the great deals above. 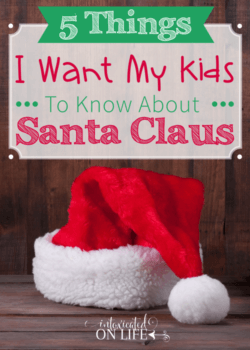 I was on one of your pages (https://intoxicatedonlife.com/2013/10/07/ways-to-teach-your-kids-the-word-of-god/ ) for “Bible Study for Kids Bundle” and the link took me to here ( http://bundleoftheweek.com/?ap_id=intoxicatedonlife ). Unfortunately, I don’t see the 5 book bundle listed; rather, it’s a bundle about winter cooking. Is the deal no longer available? I also sent an email with this same info in response to today’s e-letter from you. Unfortunately that was last weeks “Bundle of the Week” and it’s now a new bundle. We do have a special going on right now with our Exodus products right now (since you received the newsletter you should have the details on that). Sorry for the confusion. We will get the post edited in order to clarify this. Do you know of a Bible Study for women (or adults) that is focused on teaching and bringing up your children in God’s word? Right now our Bible Study group is looking for a 10-12 week curriculum that would help our ladies to develop practical ideas for guiding their children towards God intentionally. Thanks for any ideas!!! I don’t know of anything specific, sorry. I ended up going with the book Family Driven Faith by Voddie Baucham Jr. and it is fantastic! Granted to book should be called Faith Driven Family (slight oversight), but still, it has awesome ideas, encouragement, and stands firm in the Word and in a Biblical Worldview. I wish more religious people would teach their children by example. How about being honest and kind? Not judging or being critical of those with differing views? Being generous to those in need. Not placing so much value on clothes and cars and makeup and body type? Treating EVERYONE with courtesy and respect? If that ever happened, I would think a lot more kindly of religion. Sounds like a good idea. Did you have anything specific to say about this post? Naomi’s Table is a Bible-based program that takes women through the Bible chapter by chapter. They have their entire archives online with printable lessons available. Almost daily podcasts of the studies as well as conversations with various Christian women on various topics and a site for women who want to connect to other listeners. The hostess of the program is Amy Spreeman from Stand Up For the Truth. Thanks for this list, Emily.